Special grade solid carbide bits feature unique grinding and multi spiral flute design. 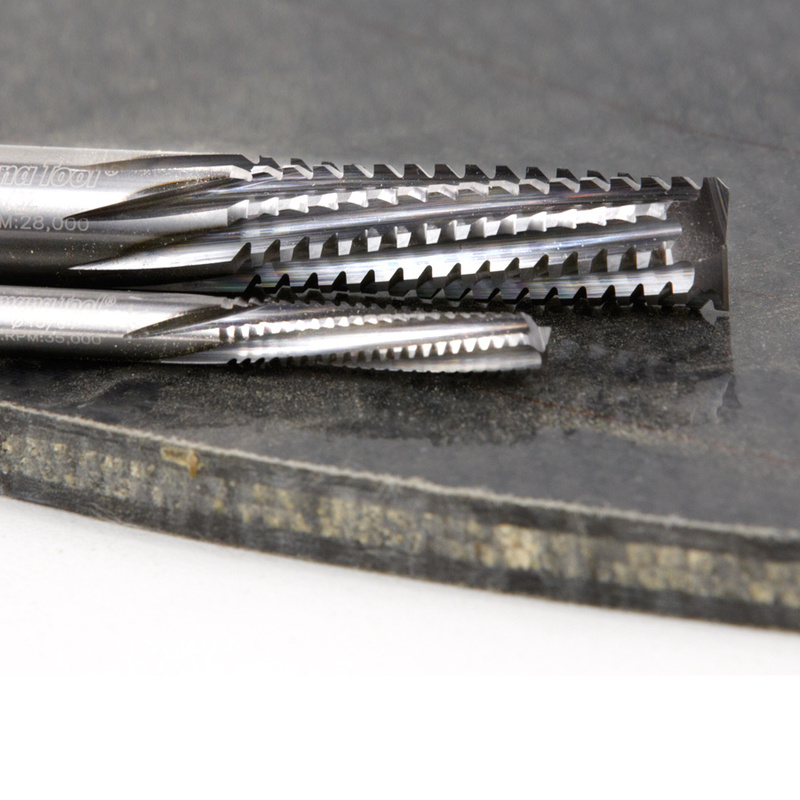 Suitable for 'roughing' cuts in hard and abrasive composite materials. Special grade carbide for maximum durability. 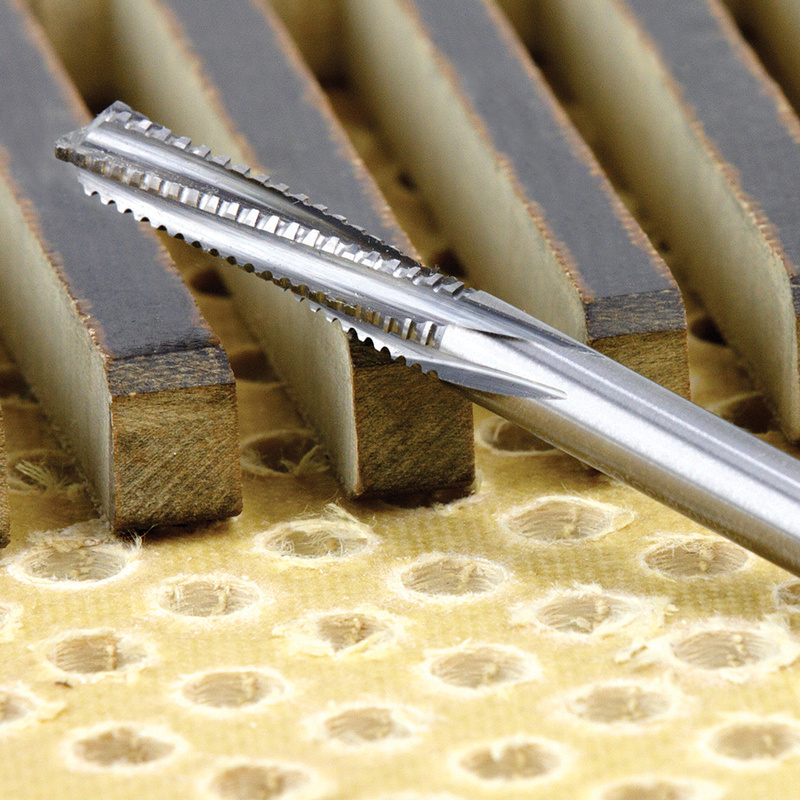 Down-Cut for better clamping when machining small work pieces and improved finish on the top of the board. 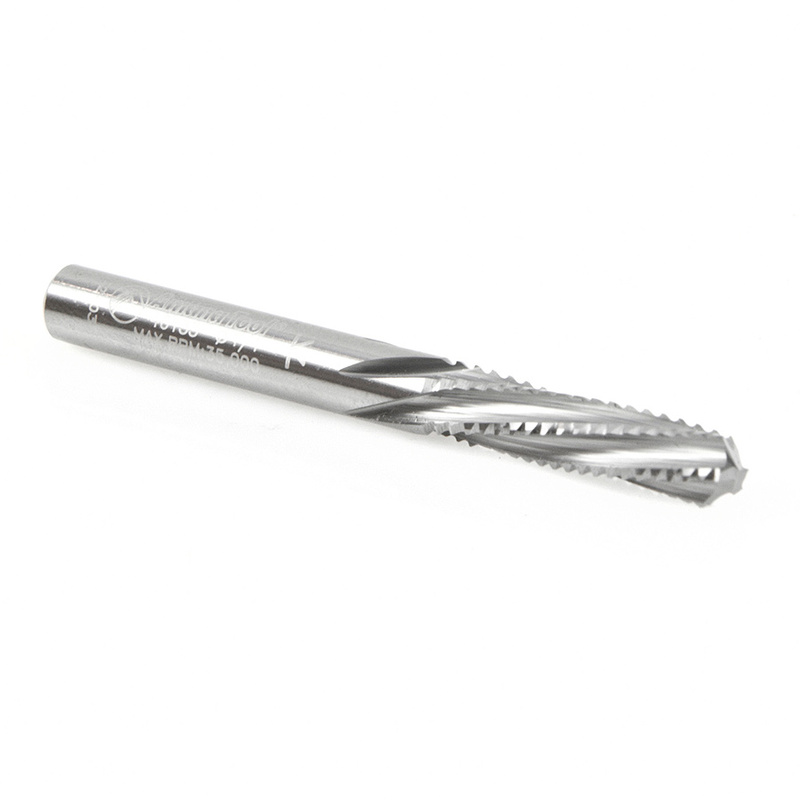 For use on routers and CNC machines.